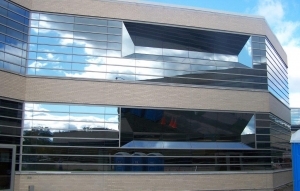 Our expert managers, designers and installers work with several different glass manufacturers and fabricators of commercial glass products to get the very best products with fast delivery and installation. We use the industry best practices and the latest in glass handling equipment to safely handle and protect all types of glass materials. Let Flower City Glass be your contractor of choice for your commercial glass project. We are proud of the commercial glass work that so many firms have come to rely on because of our skill and ability to meet even the most challenging of projects.